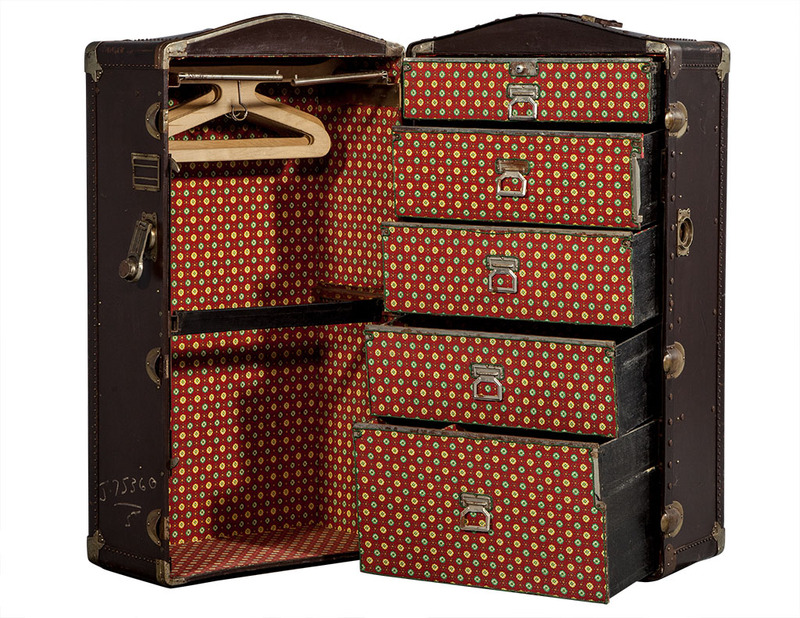 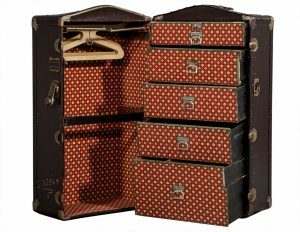 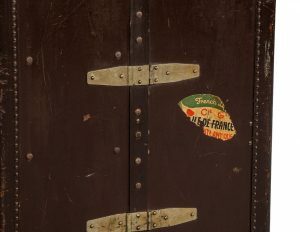 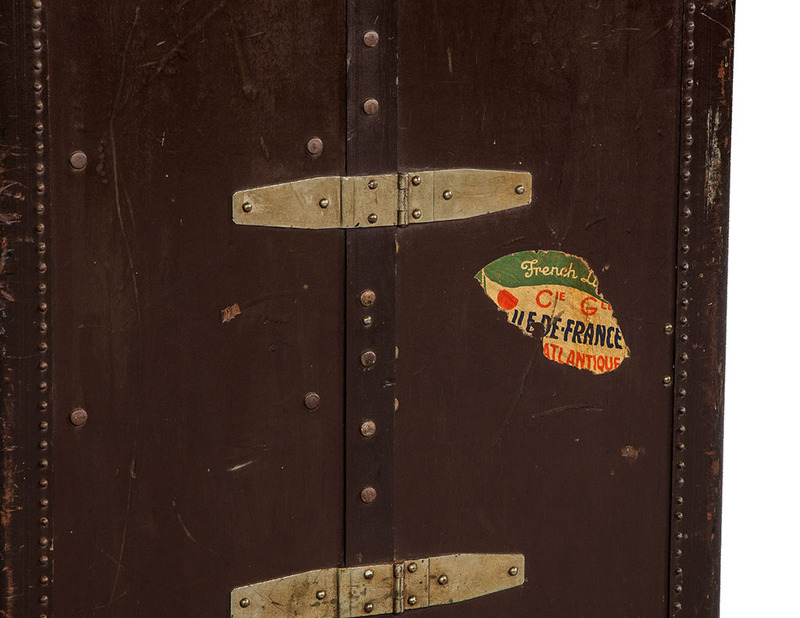 Original early 1900’s Steamer Trunk Wardrobe. 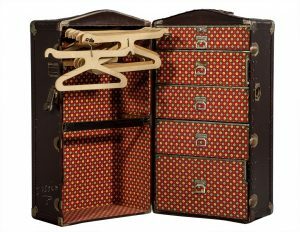 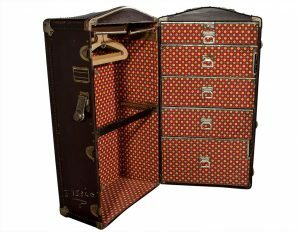 In all original good condition with original interior fitting, compartments, hangers and hardware. 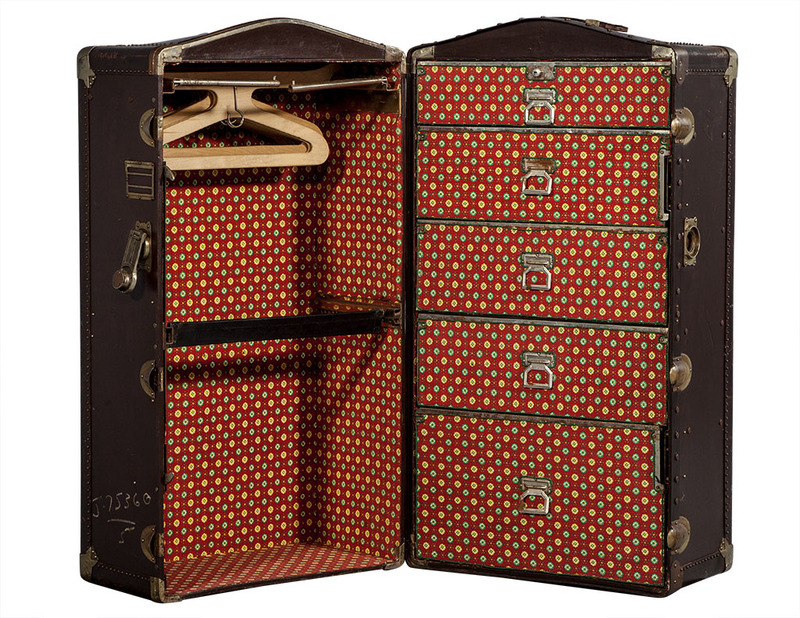 The interior and drawer compartments are finished in the original fabric material and has the original door latch. 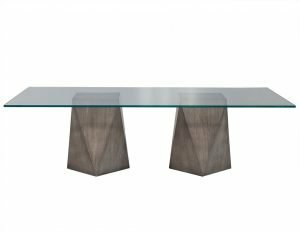 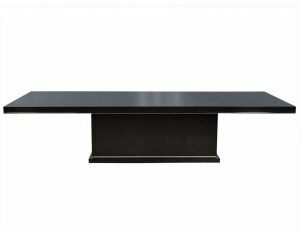 Reminiscent of a bygone era this worldly traveler will stand out in any setting. 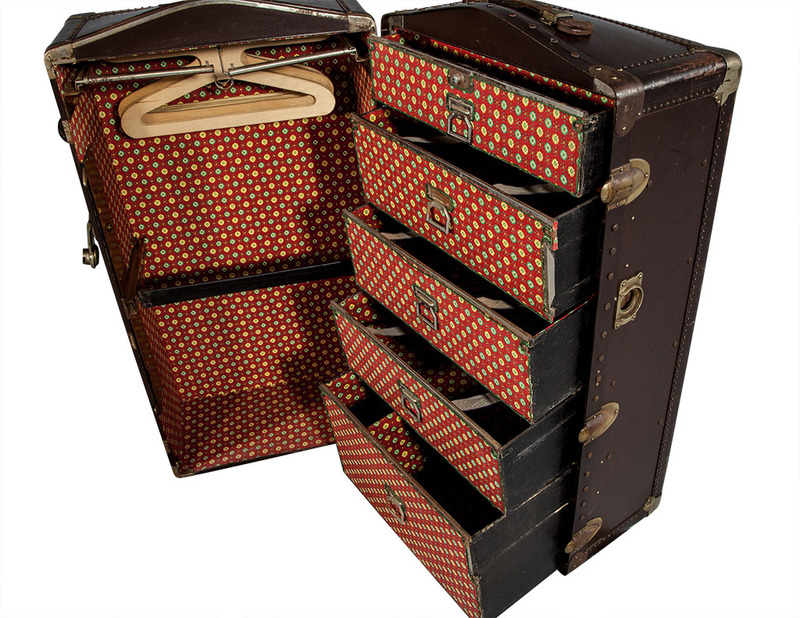 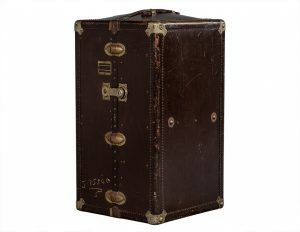 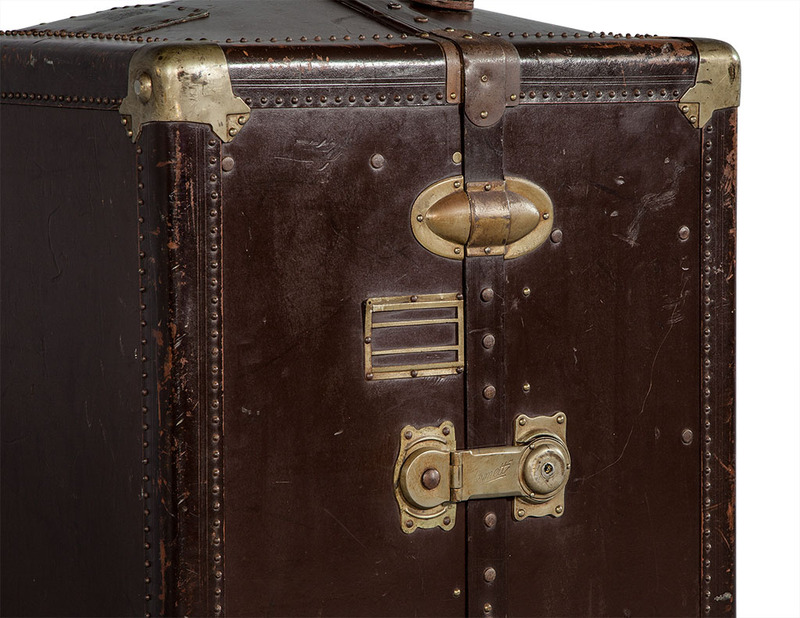 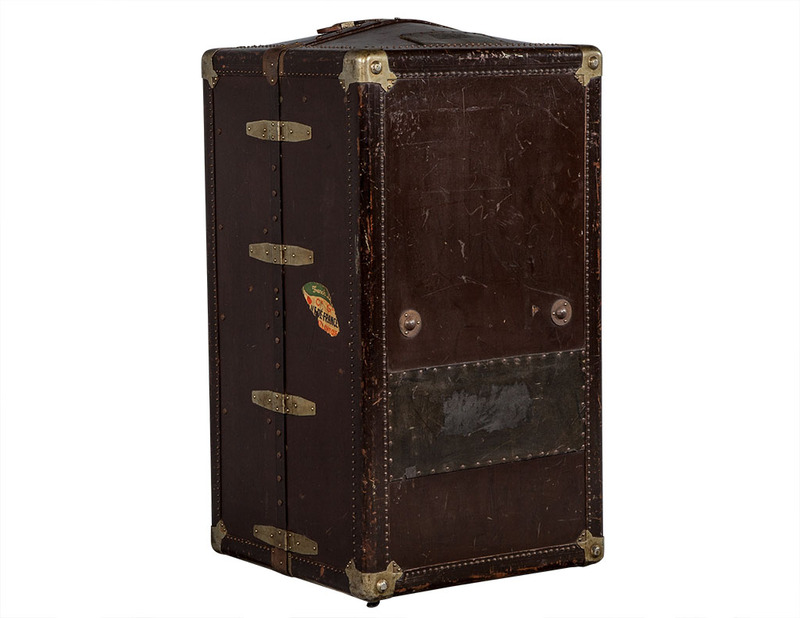 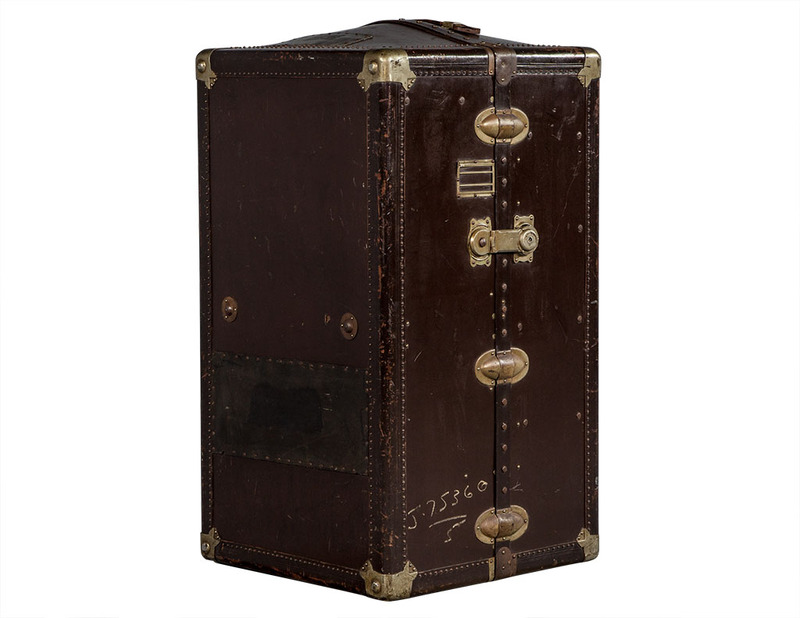 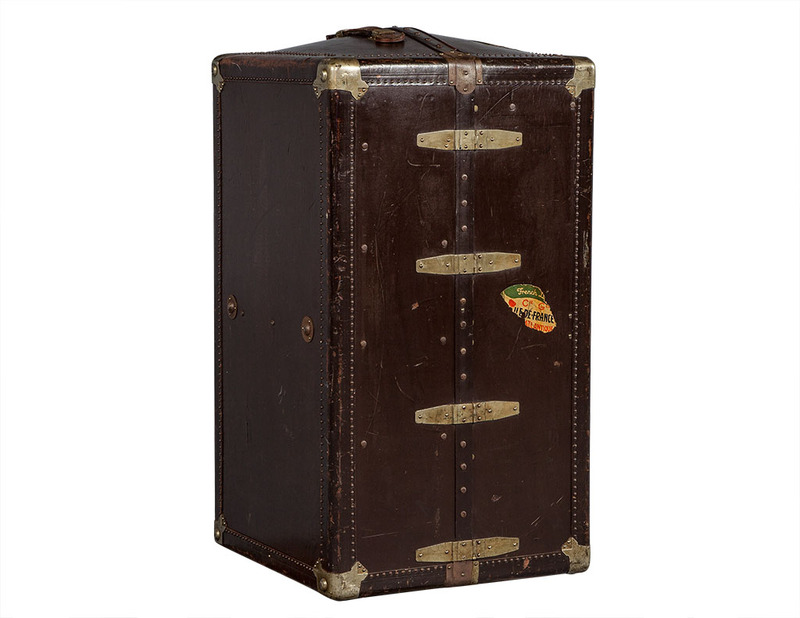 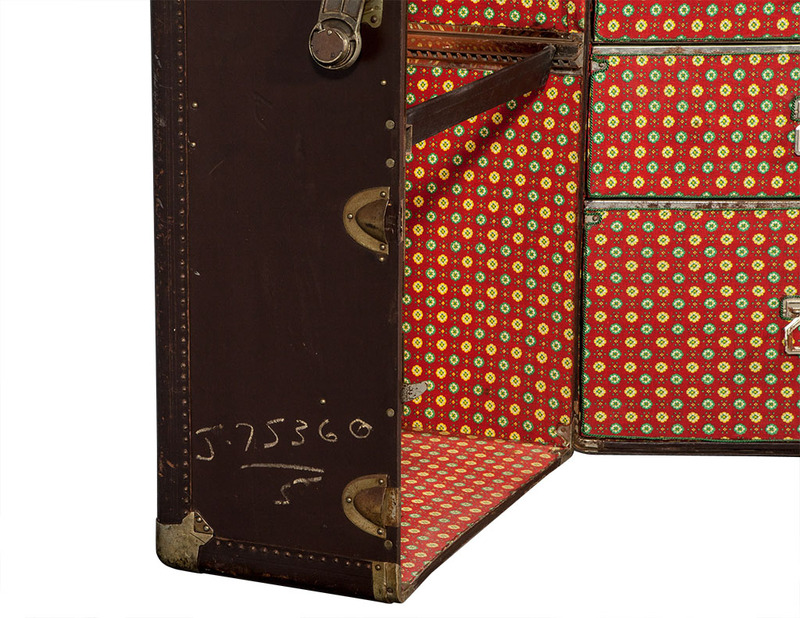 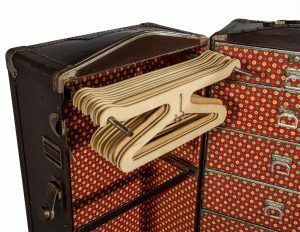 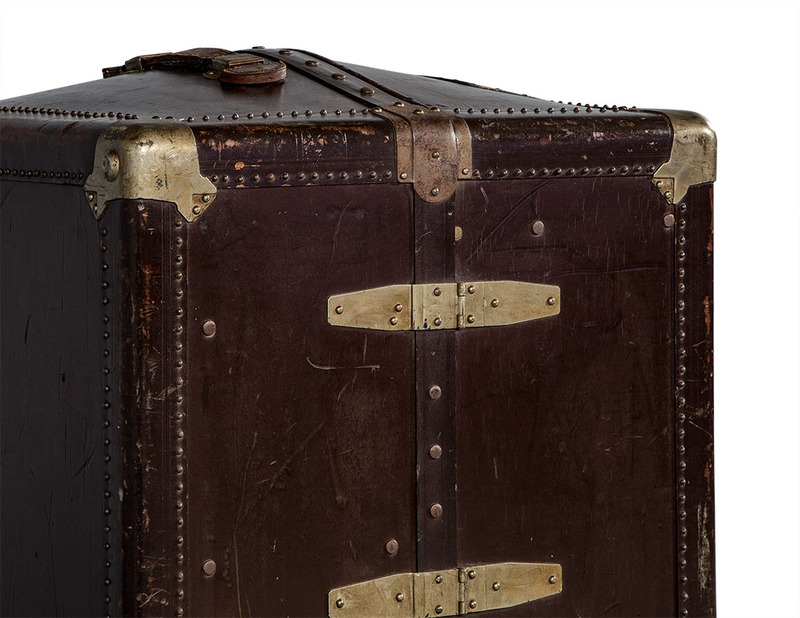 This trunk has a domed top and brass cap feet on the bottom for ease of opening.